The roar of engines is a favourite sound for many locals and they will have a field day over August-September next year – 14 of them, to be exact. 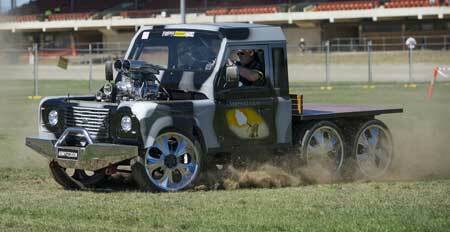 It will all kick off with the week-long 25th annual Reunion of the National Road Transport Hall of Fame, and transition seamlessly into the inaugural Red Centre NATS where owners of hot rods, street machines and classic cars will be strutting their stuff. The NATS are an import from Canberra, where they are called SummerNATS, and Reunion is the nation’s biggest boogie for truckies: every fifth is “a really big one”, says Hall CEO Liz Martin, and next year’s is going to be the mother of them all. Ms Martin is expecting 10,000 visitors. So far 500 trucks from across the nation are booked in and she is expecting 200 more. Many of these will be classic and vintage machines but there will also be a trade show component for new rigs just coming on the market. Ms Martin says about 10% of the participants have indicated they will stay on for the Red Centre NATS – that would be 1000 people. This would exceed the expected numbers coming to compete in the NATS. Chief Minister Adam Giles did not answer our questions of the projected cost-benefit to the public of the NATS – launched by him and supported by his government – but NATS spokesman Mike Drewer says best guess is 200 cars from interstate and 100 from within the NT. “It could be bigger,” he says, with the “unique location” being a huge attraction, combined with the opportunity of cruising around designated streets. Mr Drewer says allowing the NATS cars on the North Stuart Highway where there is no speed limit has not been discussed. 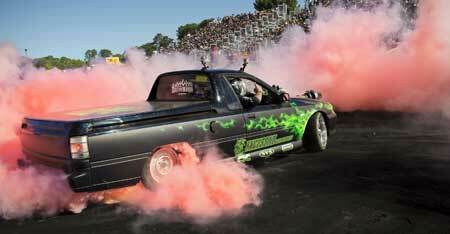 The program will include events on the drag strip, the burn-out pad there, grass driving and gymkhana races. Mr Drewer says the NTG government and the town council will support the NATS with services in kind, such as providing grandstands and toilets, and assistance from the government’s Major Events unit. The Reunion will be from August 24 to September 2 and the NATS from September 3 to 6. PHOTOS courtesy Red Centre NATS.